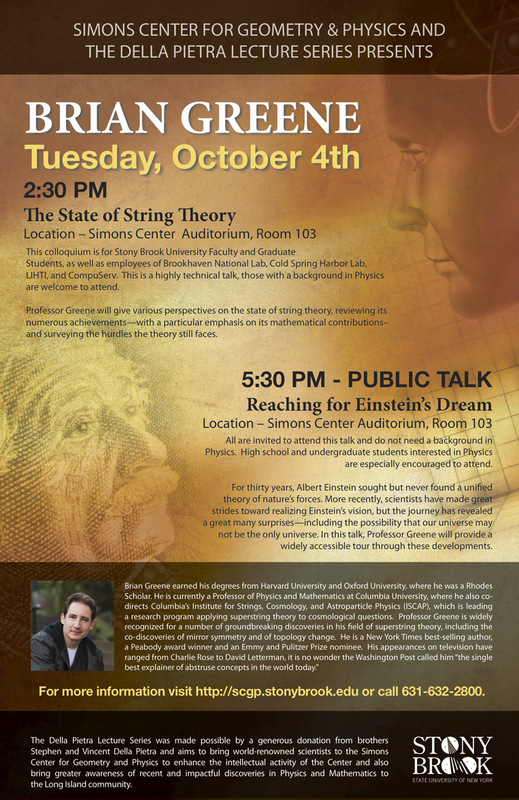 ABSTRACT: I will give various perspectives on the state of string theory, reviewing its numerous achievements—with a particular emphasis on its mathematical contributions–and surveying the hurdles the theory still faces. High school and undergraduate students interested in Physics are especially encouraged to attend. ABSTRACT: For thirty years, Albert Einstein sought but never found a unified theory of nature’s forces. More recently, scientists have made great strides toward realizing Einstein’s vision, but the journey has revealed a great many surprises—including the possibility that our universe may not be the only universe. In this talk, I’ll provide a widely accessible tour through these developments. 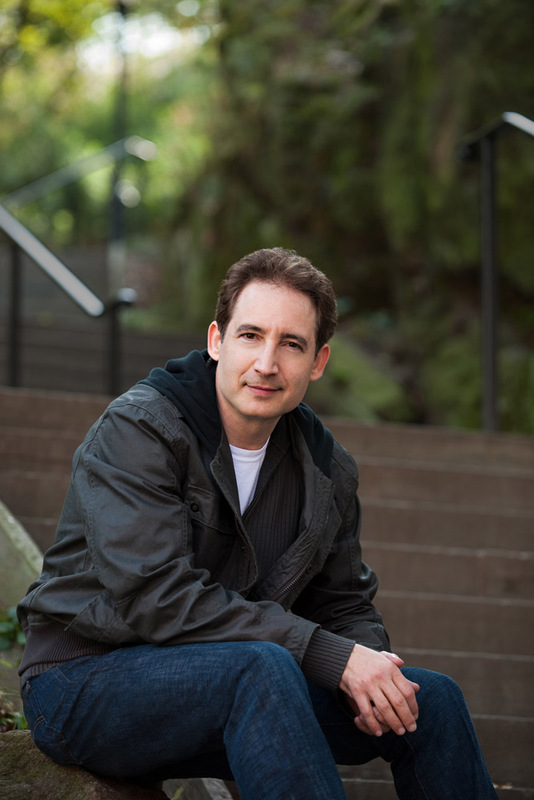 Brian Greene received his undergraduate degree from Harvard University and his doctorate from Oxford University, where he was a Rhodes Scholar. He joined the physics faculty of Cornell University in 1990, was appointed to the position of full professor in 1995, and in 1996 he joined Columbia University as a professor of physics and of mathematics. Professor Greene is widely recognized for a number of groundbreaking discoveries in his field of superstring theory, including the co-discoveries of mirror symmetry and of topology change, and he is known to the public through his general- level lectures and writings. His first book, The Elegant Universe was finalist for the Pulitzer Prize in General Nonfiction, and has sold more than a million copies worldwide. His more recent books, The Fabric of the Cosmos and The Hidden Reality, were both New York Times bestsellers, and inspired the Washington Post to call him “the single best explainer of abstruse concepts in the world today.” Professor Greene has had many media appearances, from Charlie Rose to David Letterman, and his three-part NOVA special based on The Elegant Universe was nominated for three Emmy Awards and won a Peabody Award. With Emmy-award winning journalist Tracy Day, Greene co-founded The World Science Festival, which was hailed by the New York Times as a “new cultural institution.” Currently, Professor Greene is co-director of Columbia’s Institute for Strings, Cosmology, and Astroparticle Phyics (ISCAP), and is leading a research program applying superstring theory to cosmological questions. The Della Pietra Lecture Series was made possible by a generous donation from brothers Stephen and Vincent Della Pietra and aims to bring world-renowned scientists to the Simons Center for Geometry and Physics to enhance the intellectual activity of the Center and also bring greater awareness of recent and impactful discoveries in Physics and Mathematics to the Long Island community.